It’s March 8, 1862 and an epic battle of the Civil War is underway in the waters off Hampton Roads, Virginia. The Confederate CSS Virginia faces off against its northern opponent, the USS Monitor. It’s the first time in history that two ironclad warships would meet. Neither side can fully take down the other’s fleet, and the fight ends without a victor. Despite this outcome, this battle of ironclads had a dramatic impact on naval warfare. Gone was the era of wooden ships – those made of iron and steel were here to stay. 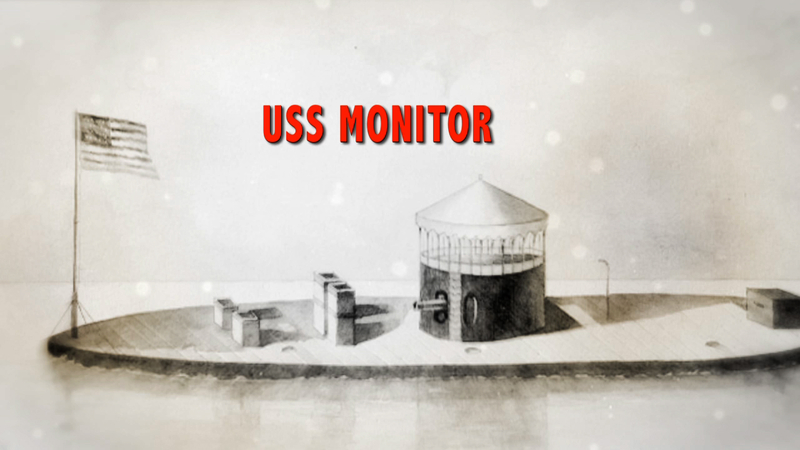 Despite surviving the firefight, the USS Monitor would not last beyond the year. While being towed during a storm, the ship hit rough seas and sank on December 31st. Sixteen sailors lost their lives. In 1973, remains of the USS Monitor were found on the seafloor 16 miles off the coast of Cape Hatteras, North Carolina. Soon after, the wreck site was designated as the country’s first national marine sanctuary. This status allows officials to protect the wreck from further damage and deterioration and to manage recovery operations of artifacts. Everything from large engine parts, to weapons, to glass bottles and books have been found. Each item helps us understand how the ship once functioned and what life was like for crewmembers aboard. The Monitor sanctuary was created to protect a cultural resource rather than a natural one. Yet, in a twist of fate, the protection of the area has allowed a beautiful underwater ecosystem to thrive, with reefs full of corals, fish, sharks, and rays. While the Monitor’s military service was brief, its legacy is permanent. Thanks to the designation as a national marine sanctuary, the USS Monitor continues to tell the history of a war from the seafloor.